Once upon a time, the system of Microsoft applications now called “Dynamics” was really only targeted at sales teams. It was literally Customer Relationship Management (CRM) and capable of very little else. Today, thanks to the technology that lies beneath what was once just CRM, Dynamics is becoming the rapid development platform of choice for everything from global enterprises to small businesses and non-profit organizations. Now, the question is, “How do I know if I should be looking at Dynamics?” I’ll share a few scenarios to consider. CENTRALIZE BUSINESS CRITICAL APPS: You have recently used the names Excel, Access, FoxPro or some similar desktop application in the same sentence with the phrase “business critical application.” Let’s face it, if it’s business critical, any desktop application is not a safe home for it. Dynamics365 provides a safe, reliable place to store that critical data without losing your complex Excel reports thanks to the native integration with Excel, Word and other MS technologies. It serves as a complete replacement for those isolated desktop database applications that can be implemented almost just as quickly as they were built, using a similar form and report UI your MS Access power users will appreciate. CUSTOM APPLICATION REMODELS: That homegrown application you built back in the Windows Vista days is barely limping along in today’s digital universe. 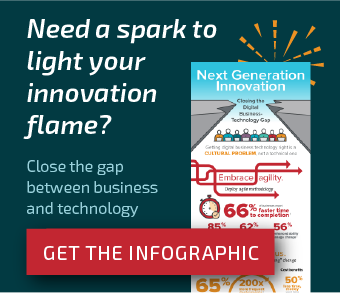 As little as five years ago, few platforms were rich enough to provide the capabilities businesses required to achieve the core functionality needed just to keep the lights on. As a result, there are a large number of completely custom applications out there—now built upon aging technologies—that are quickly going the way of the dodo bird. Dynamics offers built-in capabilities that allow click-to-configure implementation of what used to require hours of custom code work to accomplish. So, whether you need to simply display related records on a parent form, guide a process, show/hide fields or do something as complex as aggregate and calculate values or build complex workflows, Dynamics provides a platform that can eliminate the bulk of your custom dev work to replace aging applications. Thanks to the rich Microsoft partner community, a large number of solution accelerators are available to shorten your time-to-value even further for common business processes and industry solutions. CONNECTING SILOS: Once upon a time you took the “best of breed” approach to solving your business needs. Now, you’ve got a set of rich but largely disconnected systems that would be drastically more effective if they could talk to each other and allow your users to access data in a meaningful way. A common scenario for Dynamics is connecting your ERP, HR and SCADA systems in such a way as to enable automated response to critical incidents, proactive management of your assets, and powerful insights to your employees so they can work more effectively. Dynamics includes powerful, highly configurable apps that are pre-built to empower your sales, service, field service and project teams as well as connect you and your data in a secure, easy-to-manage way to customers and partners. 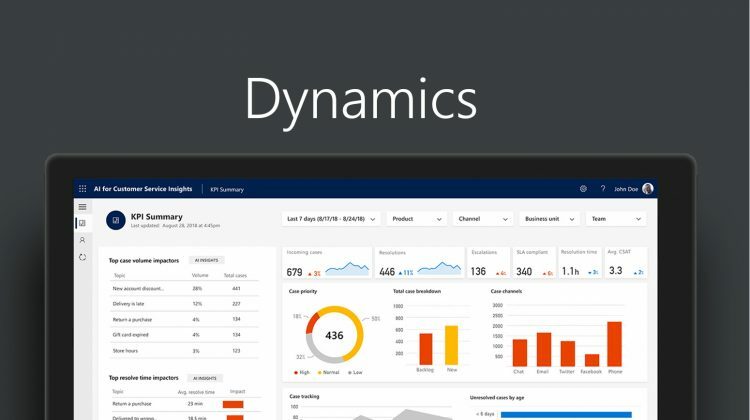 Not only does Dynamics 365 natively connect to most of the Microsoft online services and Office applications, but the platform provides a rich SDK with a pre-built API and is part of the Azure Common Data Model, which offers pre-built connections with many common data systems and sources in the market today. PROCESS AUTOMATION: Your business has a need to automate or streamline one or more processes that affect relational data. Dynamics should be the first place you look. Sure, SharePoint is a great place to build workflows around “flat” or unstructured data, but once you need to relate those lists to other data, it can get very painful. With native integration to SharePoint and many other MS services—as well as the ability to click to configure complex automation workflows, Dynamics offers powerful tools to simplify and centralize your business processes. High turnover? Leverage the business process flow UI to provide guided processes that get new employees up to speed fast with almost no training. Thanks to the platform behind Dynamics, you can reduce time-to-value on delivering applications from years to months, or months to weeks, simply by choosing Dynamics over custom code and/or many ISV industry- or process-specific ISV applications. GOING MOBILE: Everyone in your company is glued to a smartphone or tablet—everyone but your applications, that is. When you build on Microsoft Dynamics, you can deploy to the included rich mobile application and its offline capabilities with little-to-no additional work. Need something a little more tuned to your business? No worries, you can either lightly configure the included application or add more robust customization via additional mobile app ISVs or Microsoft’s Power Apps. You remember the “rich Microsoft partner community” I mentioned earlier? That includes us! We’re here to help steer, build, and manage your Microsoft Dynamics journey. Start the conversation, or go here to learn about our take on Dynamics 365.